It’s basically on the subject of copyright law and intellectual property rights more generally. 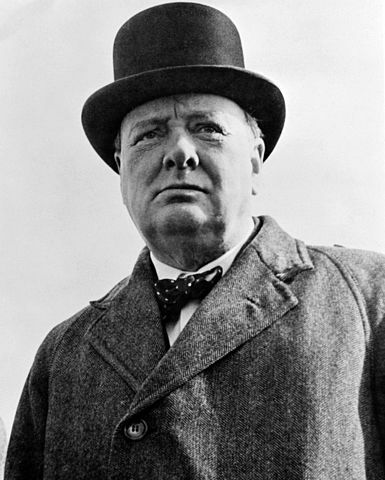 The show begins with an interview with Barry Singer, the author of a recent book on Winston Churchill. Singer explains that copyright over every spoken or written statement ever made by Winston Churchill remains in the hands of his descendants. In other words, if you want to quote something Churchill said, you have to pay them a royalty. The hosts use Singer’s experience as a jumping off point for a wide-ranging discussion that covers the differences between UK and US copyright law and the question of whether intellectual property rights have become too strong and are actually impeding creativity and economic development. They interview Rohan Silva, a policy advisor to David Cameron, who fears that the UK’s excessively strong protection for intellectual property may be discouraging technological innovation. The founders of Google have said that they would have been unable to start their company in the UK because of the intellectual property laws. 1) The US legal doctrine of “fair use” (which allows you to quote published statements without paying a royalty) does not exist in British law. (In Commonwealth countries, there is the concept of “fair dealing” but it appears to be more protective of copyright holders than the US fair use doctrine). 2) The price per word to quote Clementine Churchill is greater than that to quote her husband Winston. 3) If a newly-minted PhD in economics publishes an article in a top economics journal, he or she can expect to raise their lifetime earnings by $100,000. (I suspect that the figure for historians is lower, simply because in our biblio-centric discipline publishing a book is what is valued by potential employers).